Mark Twain's novel is one of the first American literary masterpieces, embracing local vernacular to personify the unique small-town culture of this fledgling nation. Twain drew the adventures of the mischievous yet heroic Tom Sawyer from his own youth in a riverside Missouri town in the 1840s, and created perhaps the finest book about boyhood ever writtten. 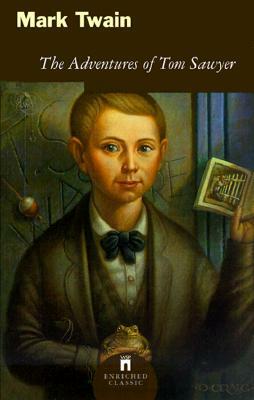 The Adventures of Tom Sawyer is at once a comic and poignant story about the fears and fantasies of a boy's world, and a brilliant satire of the culture and institutions of the times. One of this beloved author's most widely read works, it is hailed as an American classic.